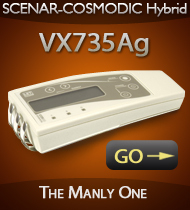 When you realize that you want a SCENAR device, your next decision is to choose a model – and it is not such an easy task, considering that there are soooo many SCENARs and SCENAR-type devices on the market, each claiming to be “the one”. 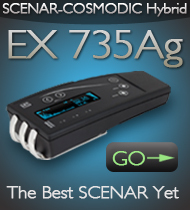 Hopefully, my Report “How to Choose Your SCENAR Device” that you can request on the bottom of this page will provide you with some guidelines in choosing your perfect SCENAR match. What I did not specify in the Report though is how to determine which SCENARs we consider “true” SCENARs. Why is that important? That’s simple. 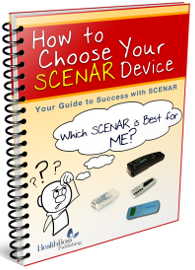 It’s because if you get a SCENAR-type device that is NOT a genuine SCENAR, you may not get the results you are hoping for. Consider yourself lucky, if you get ANY results. Here is a short video about the SCENAR “clones” illustrating the matter (if the term “accommodation” used in the video is a little puzzling, look further down for explanation). Here are some considerations to keep in mind making your choice. 1. 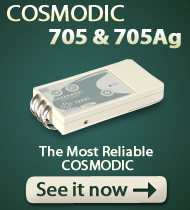 At this point, ALL COSMODIC® devices are genuine and true SCENARs. That’s because only LET Medical Research Laboratory in Russia led by the original SCENAR and COSMODIC® designer Dr. Alexander Karasev produces them. 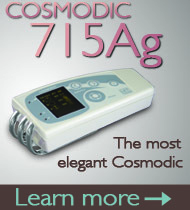 No one dares to copy COSMODIC®. No one have even tried; the technology is way too sophisticated. 2. Don’t fall for cheap devices. True SCENARs are expensive, because it takes a lot of time and efforts to fine-tune each individual unit for optimum performance. You can still find genuine Home SCENARs for under $1,000, but beware of $300-$400 USD machines – most likely, they are cheap copycats, no matter what they claim to be. 3. If a signal of your device is too sharp and superficial, if the machine “bites” too much and feels rough on a medium or even low energy level, that is NOT a genuine SCENAR. The real SCENAR signal can feel strong too, especially on sensitive parts of the skin or on a moist skin, but it will always “go in” and, if you are attentive, you will feel subtle vibrations underneath the skin surface. 4. All genuine SCENARs produce general effects on the body, even if they are used only locally for pain relief. That is happening due the SCENAR’s ability to stimulate the autonomic nervous system (especially its C-fibers) efficiently enough for the body to release the body’s “internal pharmacy” of Regulatory Peptides (RP) in large quantities called “effective concentrations”. The RPs released in effective concentrations will make you sleep better, have more energy, better appetite, better mood, be more productive and creative, and more. If you do not observe any general effects after using your device for a while, it is possible that your device is not a true SCENAR and you can’t expect any profound healing from it, even though you may be getting a temporary pain relief. 5. We adapt to things. The body reacts to all new stimuli, but after a while develops tolerance (accommodates) to the repeated stimulation and does not respond anymore. Long accommodation time is one of the most valuable features of all true SCENARs (and COSMODICs, of course). Their ever-changing signals keep “surprising” the body and motivate it to respond accumulating effective concentrations of RPs with all their beneficial healing effects. The better the SCENAR the longer the accommodation period (just as Mike Beasley explains it in the video). Hence, if your body develops tolerance to your device’s influence too soon and does not respond to it as it used to, your SCENAR is probably NOT a genuine SCENAR. In order to avoid the aforementioned disappointments, we strongly recommend buying only SCENARs produced by the original Russian manufacturers. At this point there are only two of them: OKB RITM ZAO that produces the first generation RITMSCENAR® devices – and LET Medical that manufactures the second generation SCENARs (COSMODIC® and SCENAR-COSMODIC Hybrids). Everyone else, in Russia and abroad, produces merely SCENAR clones under various names. Some of them work fairly well for acute problems and pain relief, but even the best copy is never as good as the original. 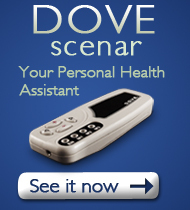 Please keep that in mind deciding which SCENAR device is going to become your future Personal Health Assistant. Invest wisely. I often treat children with brain tumors that leave them with severe motor and intellectual disabilities. I am interested in trying this type of treatment. Could you recommend the most appropriate equipment for these cases? I live in Mexico and I do not know if you have distributors here. If not, I do not know if you can guide me in the procedure to acquire the equipment. First of all, Thanks. 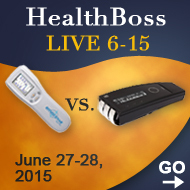 SCENAR and COSMODIC also make any specific parasite cleanse process more efficient. We will be happy to address all your questions over the phone, Raymon. 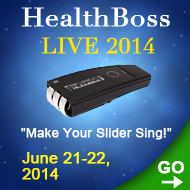 Toll-free 855-468-0033 or 905-468-0033 landline.